When Should Hypocrisy Get A Free Pass? How does one gauge the extent of hypocrisy, yet alone its significance? Personally speaking, the Leiby Kletzky horror story has resurrected a significant problem of hypocrisy that I encountered in my youth. I was raised as an Orthodox Jew, but I no longer identify myself as such. I don’t discount the extent that Orthodoxy serves as an anchor for many individuals, and I am quite respectful and in some sense envious of those for whom the religious bell still tolls. I have become quite comfortable and content with my humanistic/spiritual posture. Nor does Orthodox Jewry have a monopoly on hypocrisy – it is endemic to any religion that operates through codes of morals and ethics rife with loopholes for human frailties. All too often victims of figureheads who abuse their power are painted as provocateurs. The individual who has the courage to identify inappropriate behavior winds up being shunned if not vilified in insular communities. I have been following media accounts of the Kletzky story because it is almost inconceivable that a reportedly Orthodox Jew would abduct a boy, ply him full of drugs, suffocate and then dismember him, and discard of his body parts in a bag but keep the boy’s feet in his freezer as some sort of trophy. So here’s the basic question: what did the Rabbis in the community know about Kletzky’s alleged murderer, when did they know it, and what if anything did they do about it? On the surface this is a local problem of a crime within. Not much difference whether something like this occurred in Boro Park among the Chasidic Jews, or in Lancaster County among the Amish. Have there always been deviants like Kletzky’s Killer embedded within the shield of insular communities, but their horrors were simply not spoken of? Or, will some claim that the voices Levi Aron hears in his head aren’t indicative of a defense worthy of acquittal, but the insidious influences of karaoke bars, Facebook and secularism at large. I do not know how factual the information on failedmessiah.com is, but I can tell you that the 4 minute recording is indeed the voice of a gentleman who had a significant, positive influence on me in my formative years as head of the high school that I attended. If you listen to the 4 minute clip you’ll hear this Rabbi’s answer to the question posed by his interviewer. It’s an insightful question, which is based on the concept of a “Rodef”, or one who commits a crime and is in the status of a fugitive, fleeing from the law. It also begs the question or urgency, or “raglayim la-davar” literally putting legs to the matter. The interviewer asks the Rabbi about the status of “so-called Rabbis” or politicians who intimidate victims who come forward with claims of alleged abuse. Should the adults who bully, shame or intimidate these victims into not pursuing their claims be viewed as co-conspirators of a sort, helping to shield the original perpetrators from being accountable for their actions? “If Rabbi Eisemann was here in front of me now, I guess I’d say to him that I wish I had the courage to say something along the way even though I know I would have been ignored. I wish I had been more knowledgeable about the subject so that I could not have been so naive,” he added. Mike Simms’ experiences with the hypocrisy of the system turned him away from religion. The Eisemann Experience wasn’t the only reason he drifted away. It was part a process, or perhaps an ethos that substituted blind faith for the incongruities and the disconnect between what was being preached and what was being practiced. 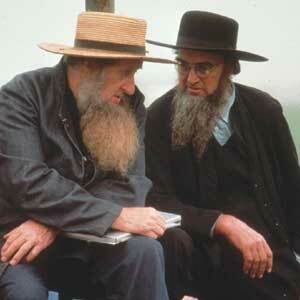 The intriguing question to me is not what Rabbi Eisemann would say if confronted today by Mike Simms, ex-Marine. 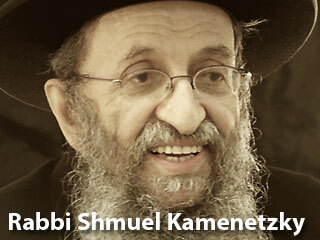 The question is what Rabbi Kamenetzky, Eisemann’s former supervisor would say. Some 40 years later, my hunch is that he would still be advising us not to rush to judgment. 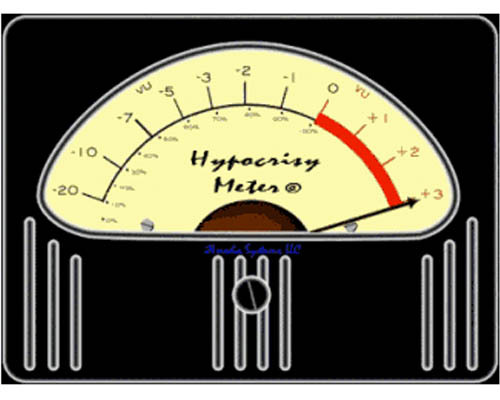 2 Responses to When Should Hypocrisy Get A Free Pass? This is a painful and complex topic, and I thank you for giving it a balanced perspective. It should be noted that our criminal justice system is not always so just when it comes to suspected child molestation. I personally know someone who was falsely accused of child molestation and had his personal life & professional career torn to shreds by the DA’s office, before the “victim” recanted what was proved to be a fabricated accusation. It appears that in the eyes of CPS and the DA that the alleged perpetrator is guilty until proven innocent; clearly an inversion of what our justice system was designed to avoid. In the specific case of Leiby Kletzky’s murderer, there appear to be no substantiated facts indicating that Levi Aron had any prior history of violent or abusive behavior; accordingly, the discussion about Rabbinical advice pertaining to mandated reporters, etc., is not germane. Aron was weird and deranged, but committed no crimes or misdemeanors meriting a report to law enforcement. I’m not suggesting we be over-reactive; only that we be proactive. If Mr. “Weird and Deranged” isn’t attempting a felony, the system will work. He’ll get a knock on his door, be able to explain that he was just giving directions to a boy who was lost – no harm, no foul to reputation. But if he’s cruising for young boys to molest, by all means the knock on his door from police might give him pause. There seems to be a fine line between the naievte of the Community, and the wish to contain all matters within Rabbinic purview. As an aside, you may recall Michael Salamon, a classmate of ours in Y.U. He has become an authority on sexual abuse in the Jewish community, and I suspect we’ll hear more from him about being proactive in these matters.